Melissa Lamanna, grade twelve student at St. Brother Andre CHS in Markham has seen 12 years of hard work payoff in the biggest of ways. 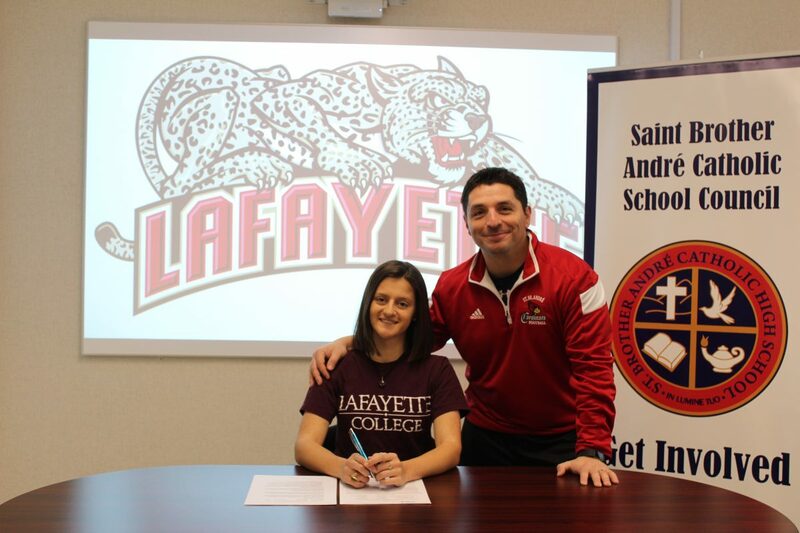 The 17 year old soccer standout (pictured here with SBA coach Joe Colangelo) signed her early commitment letter to Lafayette College Nov. 14, 2018, earning a full scholarship on the strength of her play and her academics. St Brother Andre ... Continue reading "Congratulations to Melissa Lamanna!"